New book, 80 pages, 68 colour pictures, 12 tables, one drawing and six maps. From the South China Sea to the mountains of Nepal, the continued economic rise of the People’s Republic of China has led to a dramatic shift in the balance of power in the region. As a result, the relationship between China and its neighbours, as well as with the United States and its allies, has become increasingly important for the future of the region - and for the rest of the world. 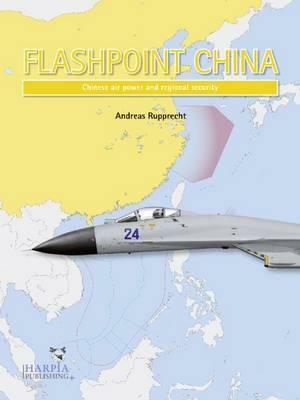 One of the first books in an all-new format from Harpia Publishing, this uniquely compact yet comprehensive work provides a richly illustrated, in-depth analysis and overview of the most important conflicts in which China is currently involved - and those that it is likely to be involved with in the future - with a particular focus on regional air power and respective balances of strength.